INDIA • In 2005, while he was on a field visit to Mahabubnagar, a drought-prone district in Telangana, India, Mr Narayana Peesapaty ordered a jowar roti (millet bread) for lunch. But he was held up, and by the time he arrived, the roti had become cold and hard. "I had to break the roti and scoop the dal and curry with its pieces, crunching into them. That was the eureka moment," Mr Peesapaty said. The entrepreneur's focus was on reducing water-intensive rice cultivation in India, and tackling pollution and misuse of plastic. Edible cutlery was his solution, and he founded a company called Bakeys to make it. It manufactures spoons made primarily from jowar, a millet flour, and rice and wheat flour in three flavours - savoury, sweet and plain. 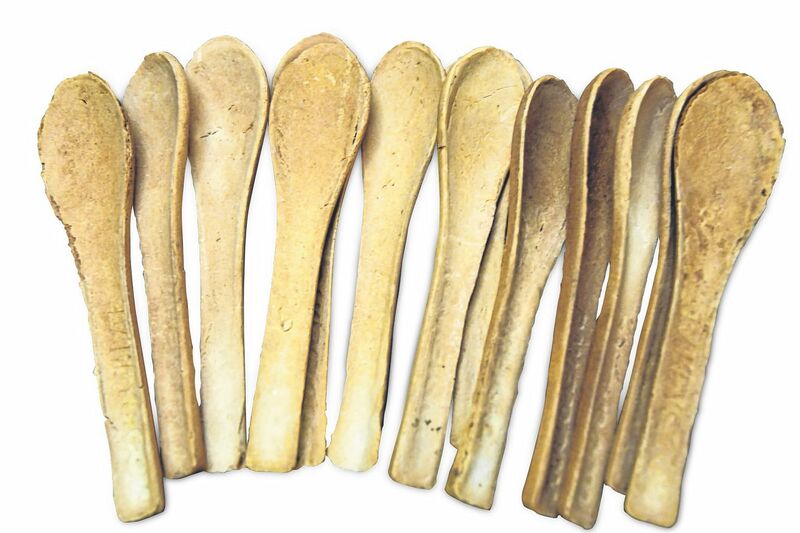 Mr Peesapaty's wife Pragyna Keskar said the spoons are safe to eat and "taste like crackers". Price per spoon in rupees (about eight Singapore cents). Turning the dream into reality, however, was a struggle. As Mr Peesapaty worked on getting the recipe right and finding a mould maker, he had to sell some of his assets, including a house in Vadodara and a flat in Hyderabad. He also used their savings. "We have seen the worst," he recalled. It was not until 2014 that they got a bank loan. To finance the project, the couple raised more than 20 million Indian rupees (S$400,000) on their own. In 2016, Bakeys raised 18.7 million rupees on Kickstarter and more than 2.4 million rupees on Ketto. Each spoon costs four rupees and 2.25 million have been sold since September 2016. The factory, near Hyderabad, employs 11 people and now produces 10,000 spoons a day.